name your ex with a movie! 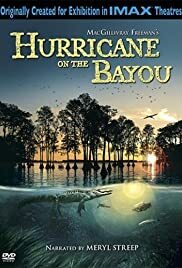 This was an interesting IMAX movie that showed the effects of channelization and erosion on the Mississippi River Delta in Louisiana. It also describes the effects of Hurricane Katrina on the ecosystem and the people of Louisiana. I don't think the film made the best use of the IMAX format, as in previous films. But, it was interesting to see Louisiana, its flora, fauna, Cajuns, and other residents of the country, as they try to survive a hurricane, despite the loss of much of the wetlands that softened previous hurricanes and storm surges associated with the massive amounts of wind and rain accompanying such storms. 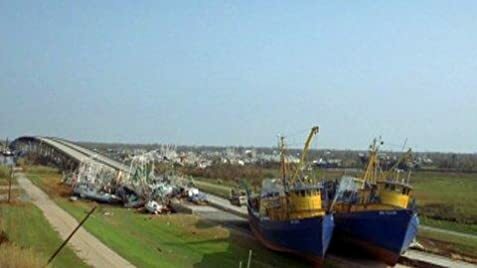 The damage done to some of the infrastructure of Louisiana has to be seen to be believed, and this film does good service of showing houses crumbling under fallen trees, utility poles pushed to the ground, a vehicle crushed by a house lifted and moved on top of the vehicle, and fishing boats pushed on top of a major highway. The city of New Orleans is shown with water covering most of their streets and the bottom floors of houses, with the only escape route for many residents being by boat. But, New Orleans is shown to be very resilient and determined to build itself back even better than before. And, the actors and actresses in this film are all very talented musicians, for the most part. So, the film is full of music, including zydeco, blues, and other local songs. All in all, this proves to be a pleasant way to spend an hour or two, despite the unpleasant damage done by the storm.